You are after a particular bird, need support for a scientific research, or…? We would be very pleased to help you (without charging a fee).→ Contact. Our cultural journeys mainly visit the two Tibetan cultural provinces Amdo and Kham situated on the eastern part of the Tibetan High Plateau. 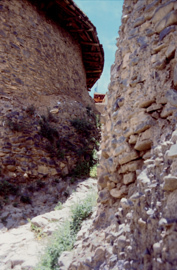 The culture of Amdo and Kham visibly differs from the Tibetan heartland. We offer you the opportunity to experience the characteristics of their landscape, religion, people, and traditions by trips to monasteries, sacred lakes and mountains, to villages and pastures of the Ngolok or Zoige tribes. While taking part in traditional festivals and rites you will learn the Tibetan way of life, make acquaintance with Lamas, nomads, horsemen, etc., and last but not least understand the spirit that the wide highland pastures and snow-capped mountains are bearing inside. You are searching for a particular animal, plant or mineral? Or you are making a research on cultural or biological features? We support you with organization, logistic, language, contact, formalities, and other services. For further information please contact us via email. Our tour guides speak English, German, and Chinese. Local guides translate from and into Tibetan, if necessary. Each single tour will be accompanied by a professional guide or interpreter. Our birding guides have a rich ornithological knowledge. 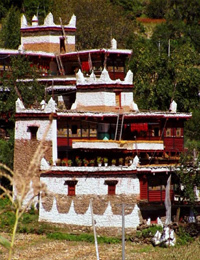 The guides for cultural journeys have a profound knowledge of Tibetan culture and religion. On trekking tours our service includes professional alpine leadership by experienced mountain guides and at least one local guide. 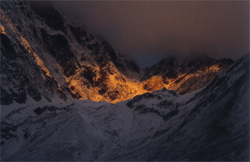 On mountain expeditions we do not take responsibility for the ascent from the base camp to the summit and back to the base camp. Thus, this part has to be under the leadership of at least one participant who is a qualified mountain guide and member of the team. Tents: We use 2/3-person tents and base camp tents. Each participant is welcome to help with setting up, taking down and maintenance of the tent! Accommodation: Guesthouses in small villages have been chosen carefully. Though they hardly can compete with big hotels in terms of comfort and service, but instead they are embedded in a genuine atmosphere amongst locals or stunning environment. Clean toilets and bed sheets are of course standard on all of our journeys. Hotels: If possible, we avoid to stay in big mass tourism hotels, but try to combine nice and decent accommodation standards with a pleasent environment. Hygienic standards, warm water and basic service are out of question. Food: On trekking tours, at the base camp, and on other out-door activities, the meals are prepared by an experienced out-door cook. While staying in hotels or guesthouses we enjoy the local cuisine. Only the items you need on a daily hike such as a camera, pharmaceutics, sunglasses etc. have to be carried by yourself in a little rucksack. Other luggage and heavy gear will be transported by our ponies. For long distance rides we use motorized vehicles, e.g. van, jeep, or train. 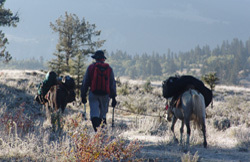 On some routes we arrange one or two horseriding days, particularly when crossing the vast high plateau. Special knowledge of ponyriding is not required. We always bring a first-aid-kit on our tours (oxygen, bandages, pain-killers and alternative remedies)	to be able to cope with emergency cases or sudden illness. For further information about health requirements please also refer to the page travel info. Due to a high grade of individual customer service we need your detailed requirements and ideas for your planned tour, in order to design the most adequate proposal and appropriate price quotation. Prices of already arranged tours usually are listed in the detailed tour description.